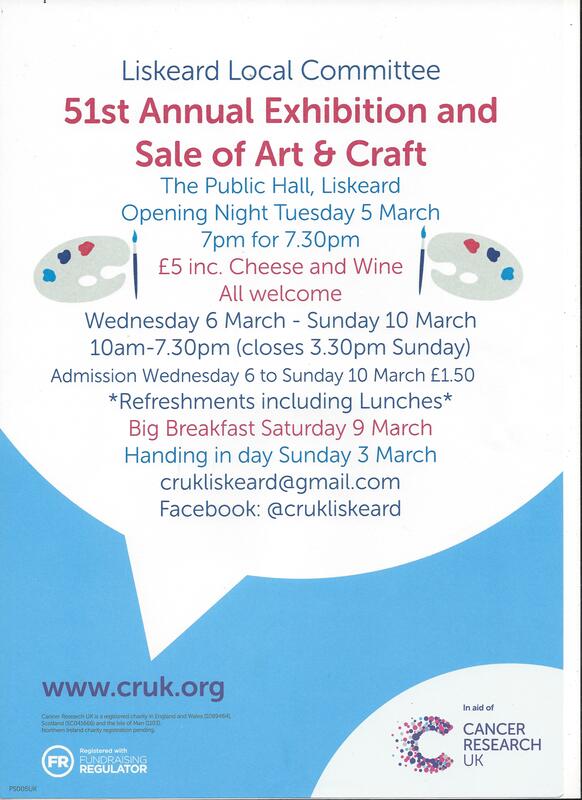 Liskeard Local Cancer Research UK Committee present the 51st Annual Exhibition and sale of Art and Craft at The Public Hall, Liskeard. 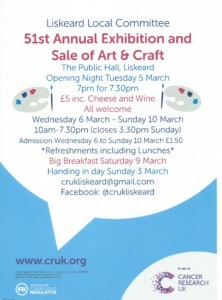 Opening Night Tuesday 5th March, doors open at 7 pm. Tickets £5 including cheese and wine. All Welcome.